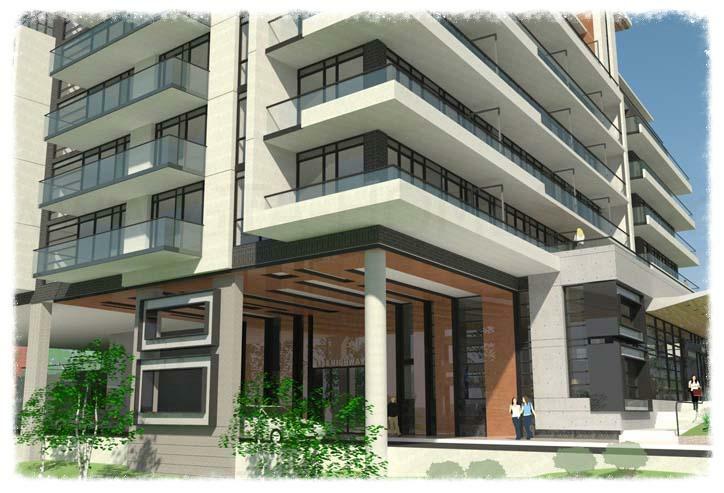 Boutik Condos by Bremont Homes is a new mid-rise and mixed-use residential condominium development currently in pre-construction at 4908 Regional Road 7 just east of Islington Avenue in Woodbridge, Ontario. 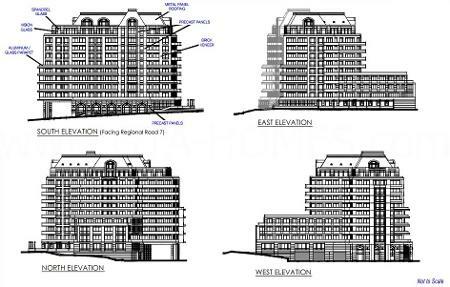 It is a proposed 10 storey luxury condo with 152 dwelling units and ground floor commercial use space. Woodbridge is part of the City of Vaughan and is a suburban community with a large Italian-Canadian population but has been seeing an increase in all other nationalities world wide here as well. The main street is along Woodbridge Avenue west of Islington Avenue. Woodbridge "is regarded as one of the most affluent areas to live in the Greater Toronto Area." There are many events throughout the year on the Woodbridge Fairgrounds such as the Woodbridge Fair. Boutik is located south of two nature conservation area - the Boyd Conservation Area and the Kortright Centre for Conservation. You can bird watch, hike, have BBQs, enjoy picnics and green spaces along the Humber River at the Boyd Conservation Area. The Kortright Centre is "Ontario's premier environmental and renewable energy education and demonstration centre". The honey harvest festival, school programs, corporate meeting or function and sustainable house tours all happen here. 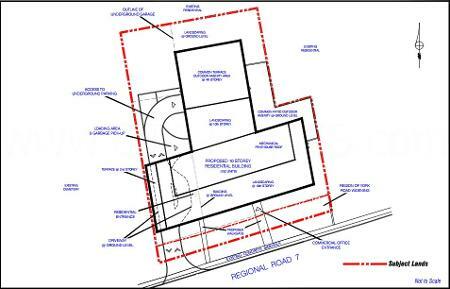 Boutik Condominium is a short drive away from Highway 400, Highway 407 and Highway 27. It is also located not too far from the Vaughan Mills Shopping Centre, Canada's Wonderland, Wild Water Kingdom, Woodbine Racetrack and golf courses such as The National Gulf Club of Canada, The Country Club, Humber Valley Golf Course and the Oakdale Golf and Country Club. There is also accessible public transportation and you can find schools, parks, shops, restaurants and entertainment nearby. York University and Humber College are located not too far away as well. Register with us today for Boutik Condos by Bremont Homes coming soon to Woodbridge!